Looking for creative Easter basket stuffers to entertain your kids on Easter Sunday? The Easter Bunny has taken to Pinterest to create beautiful, Instagram-worthy baskets. 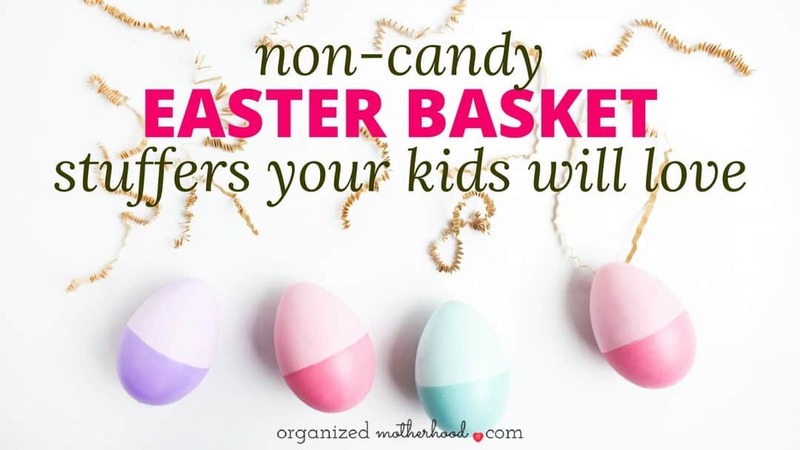 But if you’re not crafty or if you don’t have a lot of time, trying to celebrate Easter without making your kids feel like the Easter Bunny forgot their house can be a challenge. 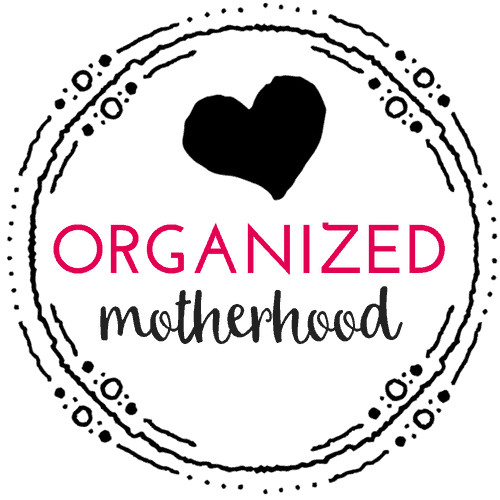 Even if you are crafty, finding unique Easter treats for kids or even making cute goodie bags for your child’s Easter party at school can be a lot of fun, but it also takes a lot of time. Start your Easter egg hunt with a fun letter from the Easter Bunny. Then use some of these non-candy treats to avoid the holiday sugar rush and delight your kids of all ages! Want to get creative (and prevent tooth decay) without breaking the bank or staying up all night to craft? 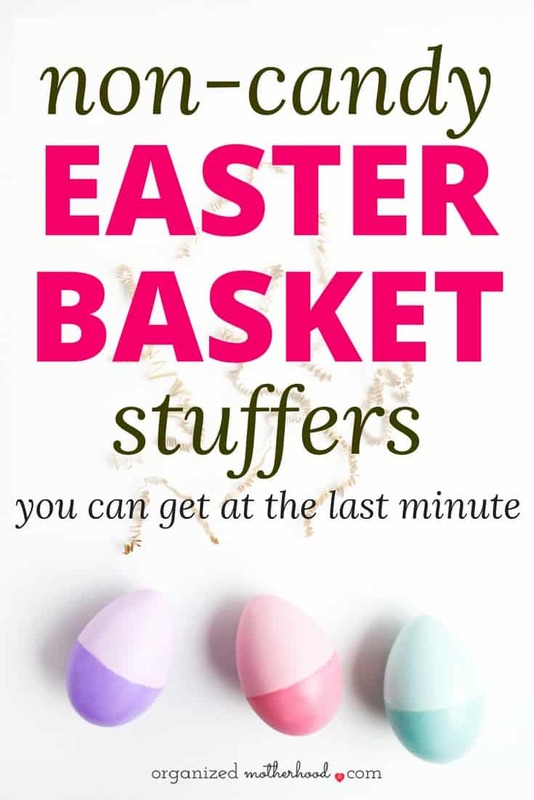 Read on for non-candy ideas to fill an Easter basket! Before you get started filling your kids’ Easter baskets, start with the Easter eggs. We use plastic eggs in our house because my kids have food allergies (they’re allergic to eggs, among other things). But even if your kids don’t have food allergies, plastic eggs are so easy to use, your house won’t stink if you can’t find one for a week, and you can even get pre-filled eggs with toys inside! To cut down on sibling rivalry, you could also get themed eggs, like these plastic emoji eggs or these Peppa Pig eggs, and then put a matching toy, like The Emoji Movie or a Peppa Pig book, in each child’s basket. Each child then finds their special eggs based on their basket theme. If you do want to decorate hard boiled eggs, make it easy on yourself and get an egg decorating kit. Easter baskets beg for colorful spring art supplies. These cute pencils and erasers are perfect for preschool and elementary-aged kids. 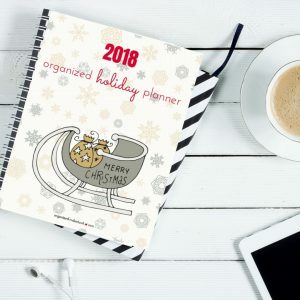 If you’re going to be traveling over spring break or Easter vacation, this is also a great time to get coloring books or busy bags for kids. Things like water coloring books work well. Don’t forget to write your kids a letter if you’re going to be travelling to let them know that the Easter Bunny will still find them! 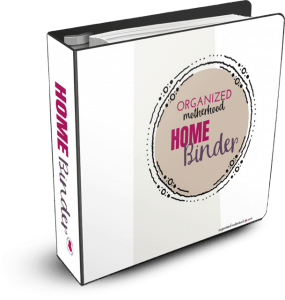 Age appropriate workbooks, especially ones to entertain the kids over the summer or prepare them for the upcoming school year, are great Easter basket stuffers, too. Wooden craft kits are also a great idea. Save them for a rainy day during vacation. My kids love to play with themed bath toys. We use these holiday rubber ducks year-round. They do have holes in the bottom, so make sure the kids squirt out the water at the end of their baths, though! Colored bath salts, bath crayons, and small toys also make great fillers for younger kids. Easter marks the coming of warm weather. While we’ve had snowy Easters in the past, it’s a great time to think about spring and summer (and the toys that your kids will be using in warmer weather). Add things like bubbles, sidewalk chalk, a kite, water toys, and sand toys. Get creative with the actual Easter basket, too. You could make a basket out of a beach towel and add a bathing suit as one of the items inside. Another idea is to use a toy, like a dump truck, as the Easter basket. It’s always fun to start reading seasonal books before the holiday to help kids prepare for (and understand) the holiday. They’re also great to teach kids about seasons and when they can expect each holiday, like Easter in spring. Some of my kids’ favorite Easter books are Happy Easter, Little Critter and Llama Llama Easter Egg. Kids love temporary tattoos and seasonal stickers, even when Easter is long past. Especially if your kids love making art projects, there are so many Easter stamps to choose from. They’re a fun way to decorate and add an Easter flair to artwork, coloring books, and even books. As you’re putting together your Easter baskets, don’t forget to buy goodie bags, especially if you’re making treats for your child’s class. These bags are adorable (and they come in packages of 75, so you can make them for your kids’ class parties).